The federal government estimates that the retirement investment industry charges $17 billion a year in excessive fees[i]. What you pay in investment fees can add up to a lot of missed vacations and flights to see grandchildren during your treasured golden years. Investors can be rewarded by reaching their highest wealth potential by focusing more on the money they keep than the money they make. The Investment Company Institute (ICI) reports that 55 million households, or as many as 94 million individual investors, own mutual funds as of July 2016. [ii] With data like that, chances are you own a mutual fund in your brokerage account, 401(k) or IRA account. And while monthly or quarterly investment statements show how much your account has earned or lost over that time period, it doesn’t show you the underlying fees you may be paying to invest in those mutual funds. The fees you pay to invest in mutual funds can significantly reduce the returns you earn on your investments over time. Some of the fees you pay to own mutual funds are easily identifiable and are either billed to you directly or show up as deductions on your account statements. But you are likely paying more than the fees you see for your mutual fund without even knowing it. What’s known in the financial services industry as the Expense Ratio are additional fees associated with your mutual fund not usually shared or discussed with investors. The Expense Ratio, or ongoing expenses of a mutual fund, are the hidden expenses that most investors can't track. These costs are taken directly from your fund balance and are not disclosed in your annual statement, making it almost impossible for investors to quantify or track. Both known and unknown fees cut into your earning potential. Here’s a simple breakdown of the different types of fees associated with mutual funds and how you can identify them. Here are the visible fees you’re likely accustomed to seeing for your mutual fund. These fees come in two forms: front-end and back-end and are very common. Front-end loads are deducted from the initial purchase of a mutual fund. Back-end loads are taken when a mutual fund is sold. These charges usually come from the broker or advisor and are typically in the 3 percent to 6 percent range. However some brokers and advisors charge as high as 8.5 percent, so you want to be mindful of how much you pay in load charges. These are charges you incur when a fund is bought or sold from the mutual fund manager. What makes purchase and redemption fees different than load charges is that the expense is deducted from the mutual fund balance and is then reinvested back into the assets. Other fees you may be subject to are mainly account fees. These types of fees usually apply to situations, for example, when an account balance falls below a minimum balance threshold or exchange fees if you switch fund investments with the same fund company. These are the hidden fees associated with your mutual fund that completely miss your radar if you’re not careful. A management fee is the expense for the fund manager to oversee the management of the mutual fund. This cost is usually paid on a monthly or quarterly basis. Fund managers typically charge a percentage of the assets in the fund. The management fee percentage varies by portfolio manager but usually falls in a range of 0.5 percent to 2 percent for investors. The 12b-1 fee is an operational expense the mutual fund charges and is part of a fund’s expense ratio. This fee is paid to the brokers and other parties who help with the service and marketing of the fund. The cost is typically 0.25% a year. When you get literature in the mail about your mutual fund, it’s this 12b-1 fee that pays for those materials. 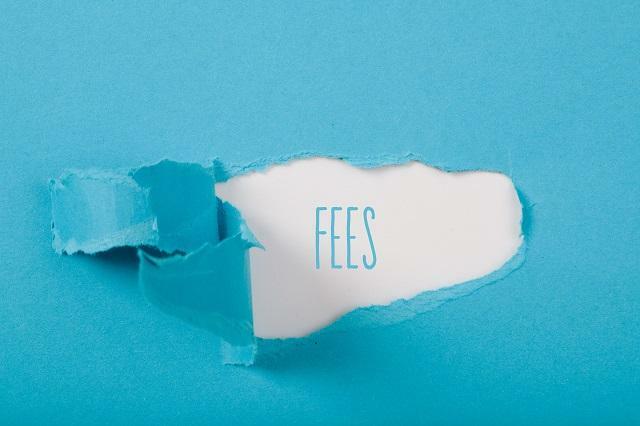 This bucket of fees is tied to the fund's legal, trading, accounting and custodial expenses and can be very difficult to identify and quantify. The long and the short of it is that identifiable and hidden fund expenses add up over time for investors. A mutual fund with similar holdings and same initial investment amount will perform differently based on the amount of fees an investor is subject to paying. To illustrate, here is a comparison of two actual funds with similar investment strategies in dividend growth stocks. The Vanguard fund is an index fund and owns many stocks in the index and does not attempt to beat an index (S&P 500). The Oppenheimer Rising Dividend fund is an actively managed mutual fund, overseen by portfolio managers and does attempt to generate returns that outpace its peers and an index (S&P 500). What you can observe in the table below is that over a 15 year investment time horizon, the Vanguard fund significantly outperforms the Oppenheimer Rising Dividend fund despite the equivalent investment returns over the same period. The investor with the Vanguard fund earned over $51,000 more than the investor with the Oppenheimer fund for no other reason than more of the investor’s principal went to work in the fund rather than getting siphoned out in fees to managers. How you invest is a significant financial decision particularly with your retirement savings. Most people don’t want to pay more money for the same or less of a product or service. With investing, it can be challenging to know all the questions to ask and fees to look for to make sure you’re getting the highest value for your money. If you have ever wondered why your mutual fund isn’t earning more money, you may not have to look further than the fees you pay. And while fund expenses do exist, it’s never a bad idea to know how these fees will impact your financial reality and well-being over the long-term. After all, "the money you keep is more important than the money you make."